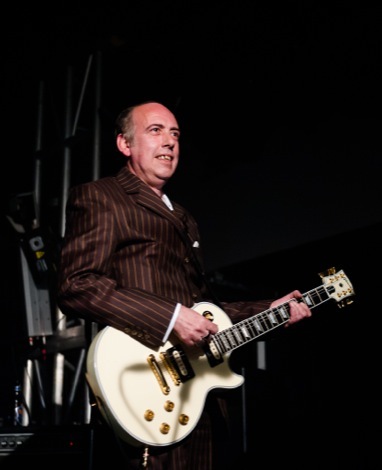 Ninety six days since the Justice Collective single was planned, the team behind He Ain’t Heavy He’s My Brother add a gold number one disc to the Mathew Street wall of fame before The Clash legend, Mick Jones, picks up an honorary Scouser Award. Louder Than War’s John Robb reflects on an emotional night at the Cavern. 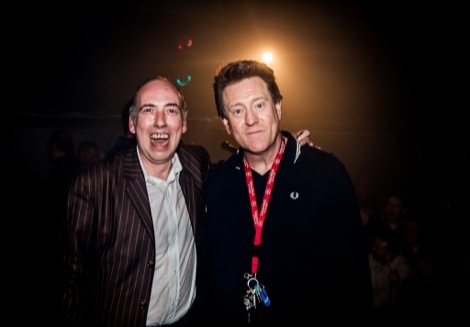 In a neat contrast to the vacuous, hot air industry awards of the BRITS, Clash legend Mick Jones was awarded an official honorary Scouser award at a special event yesterday celebrating the Justice Tonight tour and the Justice Collective number one Christmas single. Held in the Cavern this was a cool reminder of the success of the heartwarming campaign that proved that music still has the power to unite and make a difference despite what the grey world of the BRIT Awards tries to tell you. The event at the Cavern was held to thank those who had helped with the single and to celebrate the success of the Justice Collective version of the Hollies‘ He Ain’t Heavy, He’s My Brother. 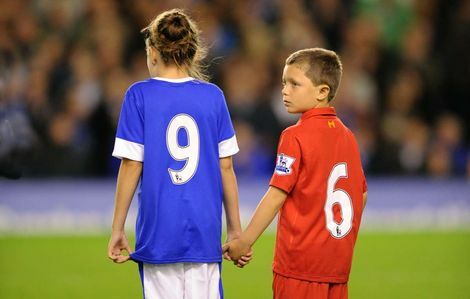 The single beat off the cynical attempt of the X Factor to grab the number one and was proof of the eternal power of song and helped to soundtrack the brilliant campaigns for Justice for the 96 fans who died at Hillsborough. Louder Than War’s John Robb was also given a ‘Scouse passport’ for his role as tour compere and documenter. 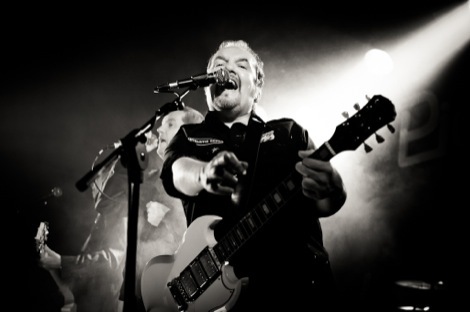 A covers band played and Mick couldn’t resist the oppertunity to get on stage and play a version of his and the late great Joe Strummer Clash classic London Calling. Afterwards Mick smiled ‘it’s showbiz! I had to play‘ after the version of the song which still packed the emotive power of the 1980 original was delivered by Mick and the pick up band. Earlier, producer Guy Chambers, singers John Power, Gerry Marsden, Holly Johnson and Peter Hooton, guitarist Mick Jones, MP Steve Rotheram and Liverpool footballer Jamie Carragher had gathered in a packed Mathew Street to officially add the single to the wall of fame. All the money raised from the single will go to the families of the 96 victims of the Hillsborough disaster to aid their fight for justice.